Russia’s War on Drugs is identical to its American and British counterparts: it’s a failure. As last week’s BBC-TV News report vividly documented, Russia’s in the grip of a heroin epidemic. Russia has 2.5m heroin addicts and 30,000 of them will die this year. Why is the War on Drugs lost? It reflects our failure to learn from history. Drug prohibition has all the characteristics of other well-intentioned, yet counterproductive, government programmes. Specifically, the drug war causes crime; it corrupts the police; it violates civil liberties; it throws good money after bad; and it weakens – even destroys – families, neighbourhoods, and communities. Governments have seldom given serious thought to drug policy, preferring instead to follow whatever variation on failure is being proposed during the latest crisis. Such conventional thinking has only served to empower organised crime, corrupt government, hinder health care, and feed into an ever-growing law enforcement and penal industry. In sum, common sense and experience have been ignored, folly has been repeated, and the War on Drugs has become a war on reason, itself. All of the evidence – academic, scientific, and anecdotal – confirms that the problems Russians associate with illegal drug use are caused directly or indirectly not by drug use, itself, but by drug prohibition. It’s only by separating drug use from drug prohibition – something that prohibitionists carefully don't do – that one is able to appreciate that the harmful side effects of prohibition overwhelm the benefits of (alleged) lower drug consumption. The record of drug prohibition is a record of failure. On the streets of Moscow (and London and Washington), the evidence of failure is all around us. Despite the greatest anti-drug enforcement effort in history, illegal drugs are everywhere, available to anyone who wants them. Today, the levels of illegal drug production and illegal drug profits are at an all-time high. The import-export business in illicit drugs is currently estimated at one-tenth of all international trade, sufficient to line the pockets of an ever-expanding global criminal class. All the arrests and all the incarcerations haven't stopped either the use or the abuse of drugs, or the drug trade, or the crime associated with black-market transactions. In prisons, drugs are plentiful and their use is widespread. No matter what they try, prisons can't keep drugs out - an important lesson for those who would turn Russia, or any country, into a prison to stop drug use. The startling, deeply unpleasant, but equally unavoidable fact is that 80 percent of drug-related deaths aren’t the result of drug use. They are the result of drug prohibition. This makes complete sense. After all, an illegal drug is one that isn't subject to regulation or quality control or producer liability. Therefore, drug taking remains a health lottery for addicts. Drug-related AIDS is almost exclusively the result of prohibition. Fifty percent of new HIV patients are intravenous drug users. Why such alarming figures? Because prohibition’s drain on the public purse prevents the necessary rehabilitation, detox, and other treatment facilities from being funded adequately. But, aren’t these drugs so bad for one's health that their use must be proscribed? Hard drugs, such as heroin and cocaine, are permanently damaging to your health, as is long-term use of marijuana. When it comes to the health care aspect of this debate, however, filling prisons with substance abusers doesn’t make any public policy sense. If we ended the war on drugs, drug addicts could be treated as patients, not as pestilence. On a day-to-day basis, the most tangible cost of the war on drugs is criminal behaviour. Most drug-related crime is, in fact, prohibition-related crime. Ninety percent of drug-related crime results, not from drug use, but from the illegality of drugs. Why’s there so much crime? Because so many addicts must spend their days stealing the large amounts of money needed to buy their drugs. Why are the drugs so costly? The only reason is their illegality. The street price of heroin is 50 to 100 times the pharmaceutical cost of producing the drugs. The risks incurred by the black market suppliers and dealers are rewarded by the exorbitant retail prices paid by users. The drug trade is like an old mattress. Whenever it’s pushed down in one area, it springs up in another. This is because drug use is insensitive either to price or to punishment. 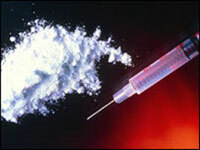 The demand for drugs rises and falls largely according to social factors impervious to the efforts of governments. Drug use is sensitive to social mores, education, and the perceived health risks. Drug prohibition also leads to the corruption of the police, the courts, and customs officials. Although policy changes are coming, change is slow because so many bureaucrats, police officers, and prison guards make their living off the War on Drugs. Drug war advocates are unable to defend drug prohibition on rational cost-benefit grounds. There’s not a single rigorous empirical study that demonstrates that the social and economic benefits of drug prohibition outweigh the costs. The War on Drugs has failed to reduce the supply of illegal drugs, or to reduce consumption, but it has succeeded in flooding prisons, fueling the AIDS crisis, and making drug traffickers rich. Sigmund Freud defined insanity as doing the same thing over and over and over again, each time expecting a different outcome. But the continued use of drug prohibitionist methods already proven to fail – in Russia and elsewhere – will lead, inevitably, only to more and to deeper failures. Patrick Basham directs the Democracy Institute (www.democracyinstitute.org), is a Cato Institute adjunct scholar (www.cato.org), and edited Sensible Solutions to the Urban Drug Problem, published by the Fraser Institute (www.fraserinstitute.ca).